We are happy to announce a submission extension for the Glasgow International Fantasy Conversations 2017, an event held in Glasgow in the 29th and 30th of March 2017. The new deadline is Monday, the 9th of January 2017. Our keynote speaker list has been updated and we have more events planned down the line! You can find more information on the links shown below. 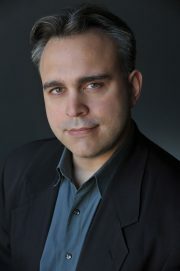 David Mack is the award-winning and New York Times bestselling author of more than thirty novels of science fiction, fantasy, and adventure. His writing credits span many media, including television, short fiction, and comic books. He lives in NYC.